With our annual beer& music festival Planet Oedipus we, again, touch down on the fertile grounds of NoordOogst, a local city farm on a former soccer-club that hosts enough space to create a world where beers have more flavors than the rainbow has colors and at the end a pot of gold to drink. At the 11th and 12th of August the time has come for our annual celebration of music and beer, where different worlds collide into one big, banging, flavorful affair. 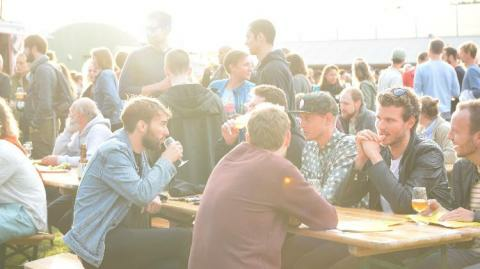 On Planet Oedipus we bring together all the things we love: music, art, food and BEER of course. A weekend to celebrate and share all the good things in life and we want you to join us! Our line-up is pretty wild with (home-) brewers from 9 different countries, food from all over the planet and music from outer space handpicked by BLiP Agency and Sugarfactory. All it takes is a trip down Meteorenweg to join us in our dream made into a weekend reality and as of today you can make sure you are part of this intergalactic journey by buying your tickets TODAY! We hope to welcome you beer-loving space travellers at Planet Oedipus 2018!